Introducing Android Manager - the new and improved Android Device Manager. 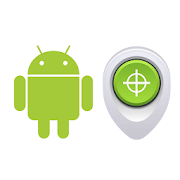 Find My Device helps you easily locate a lost Android device, and keeps your information safe and sound while you look. Locate your phone, tablet or watch. Misplaced your Android Wear device? No problem. Play a sound. Android Manager helps you track down your device when it’s near by. Lock, erase or show a message. With Android Manager you can secure your device remotely and help someone get in touch.